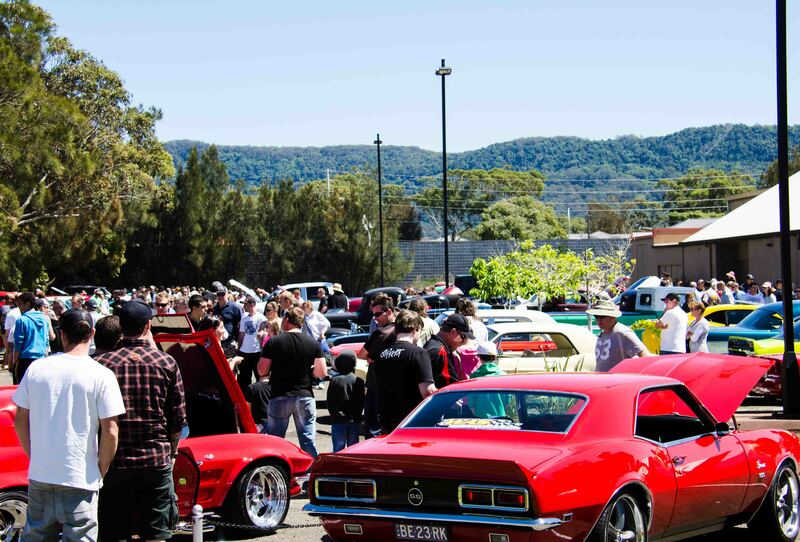 Numbers were down at Sunday’s American Muscle Car and Bike Show at Towradgi Hotel compared to last year due another Bathurst. 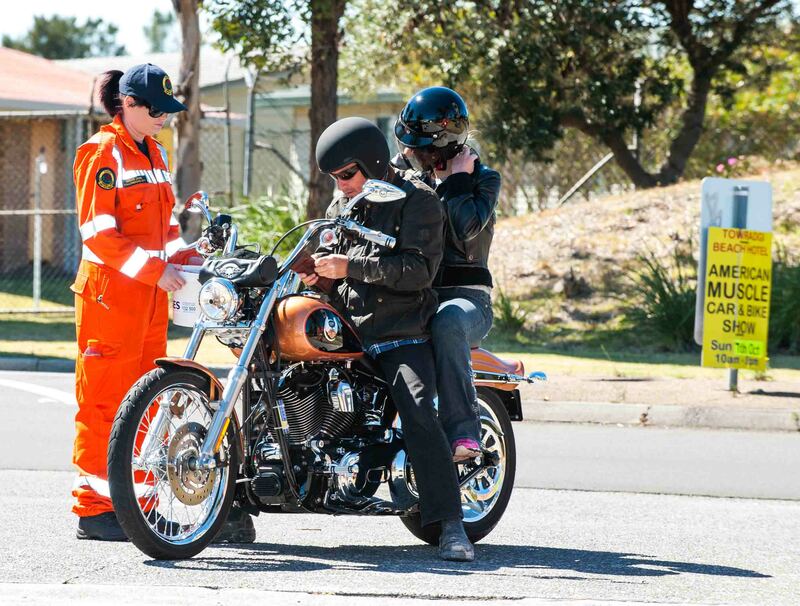 Entry into the Show was by gold coin donation, with Wollongong SES receiving the gate takings. 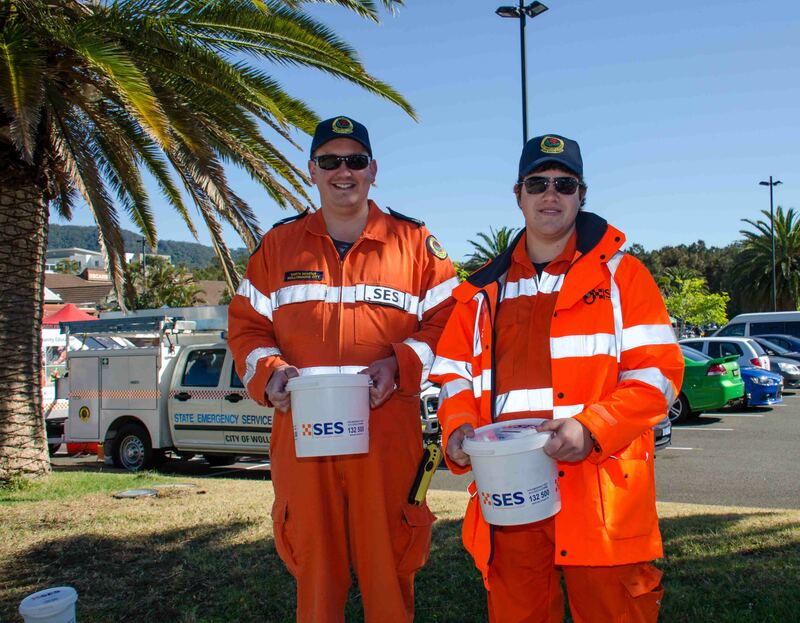 Pictured is SES Volunteers Garth Webster and Nick Ayre collecting gold coin donations. 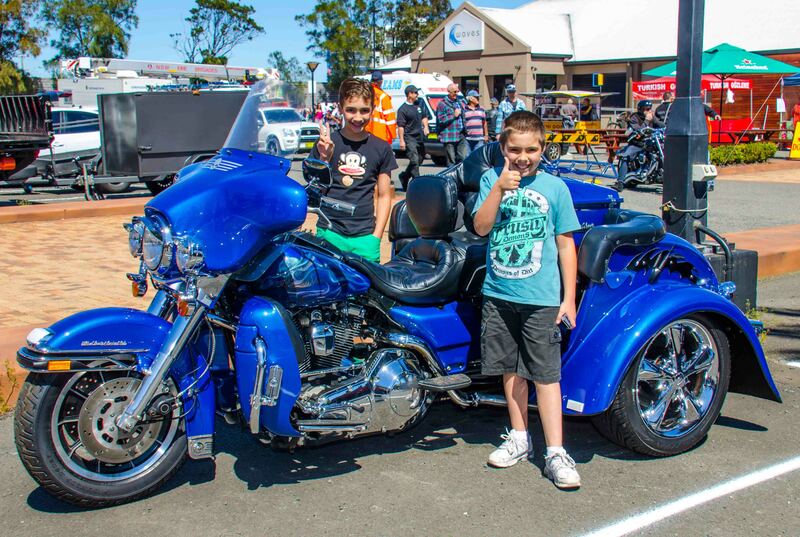 PHOTOS: Warren & Diana Ackary. 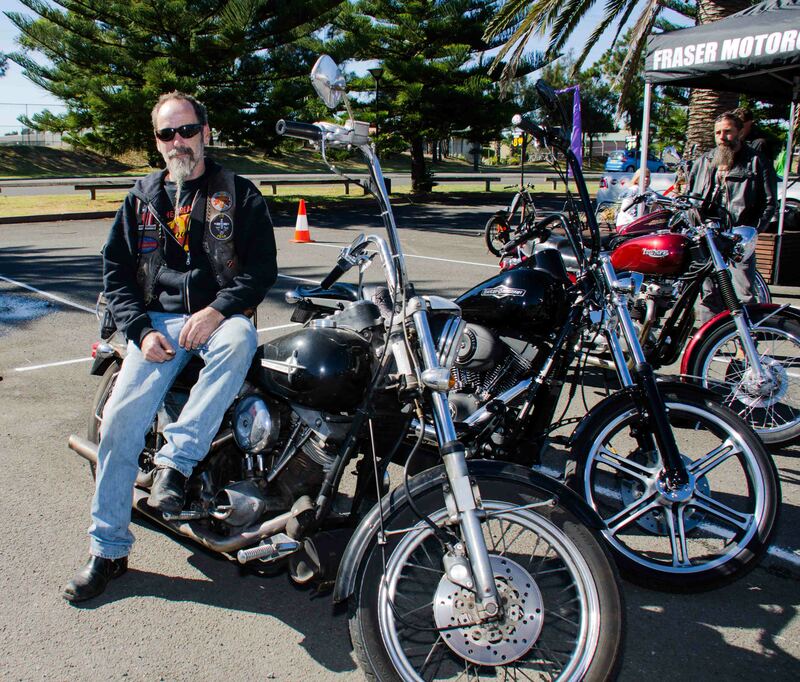 Dave Wilson from a local motorcycle club visited the Towradgi show on Sunday. 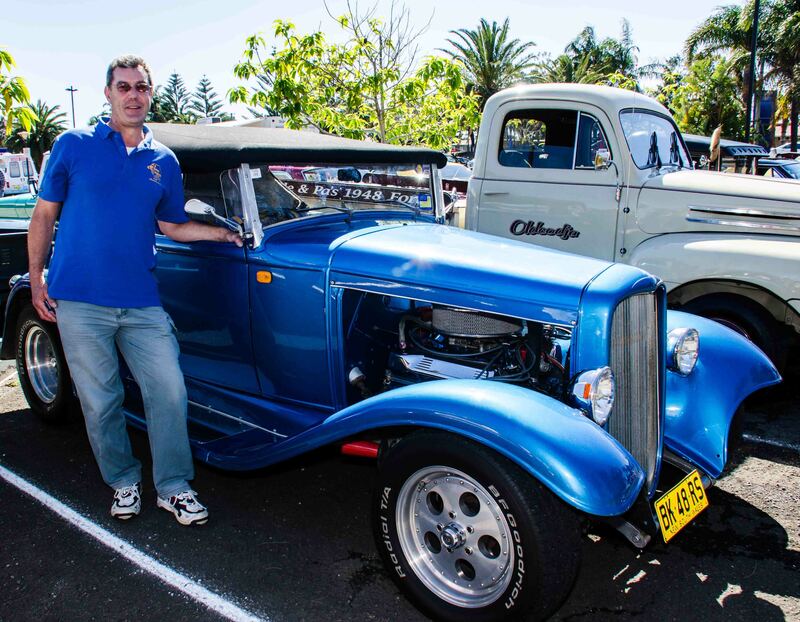 This vehicle belongs to Michael Collett of Corrimal – a Ford 1931 Model “A” Tourer.